Finding you the right home and helping you establish your new life with enthusiasm and confidence are our measures of success. We offer a unique approach to relocation services by focusing on quality, flexibility, and tailored service. Our vision is to be partners with you, providing personalized service and commitment to your needs, to exceed your expectations, and to create trust in our ability. We are proud of the reputation we?ve earned over the years?the reputation for listening to each relocating individual?s unique needs and concerns and then customizing our services to best accommodate the situation; the reputation of being committed to details and timeliness; and the reputation of making things happen. As members of the RE/MAX Network we also have access to more than 78,000 real estate associates in more than 42 countries. In addition, we are members of the Employee Relocation Council, giving us access to thousands more industry specialists. All have the same level of experience, knowledge and commitment as we do. 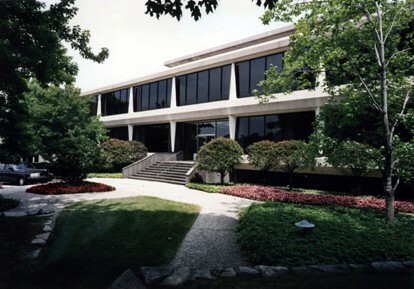 With more than 39 years of combined experience, comprehensive programs, exceptional customer service, world-wide reach, and the latest in the industry?s technology, our relocation team is well-equipped to help you achieve a smooth and successful move across the street or around the country. The most important steps in a move are made long before the hunt for boxes begins. Follow these tips and you?ll have less to worry about on moving day. The key moving survival tactic is getting an early start. When you have a deadline, everything has a domino effect. Allow some leeway, so you can stay on schedule even before packing a single box. Begin at least eight weeks before you plan to leave by hiring a moving company or contracting to rent a moving truck. If you?re planning a summertime move, you may consider moving during the week. Weekends are the busiest times for moving, and the equipment you need may not be available. Because every moving situation is different, the only way to determine costs is to get estimates. A house full of wicker, for example costs much less to move than a house full of heavy antiques. Moving during peak times ? the usual schools breaks ? costs more, and homes with minimal access or apartments with lots of steps will add to the final cost. The simplest way to move is to hire professionals to pack up your household and haul your belongings away to your new home. If you do this, ask several moving companies to come to your home and give you cost estimates. Some movers will give estimates guaranteed to be your final cost. In this case you know in advance exactly what your moving bill will be, but the binding estimate could be higher than the cost based on the actual weight of your possessions. Packing materials can add quite a bit to the cost of a move. A new tall wardrobe container can cost $7 or more, depending on where you live and which company you use. So whether the movers are doing your packing or you are doing it yourself, try to get used boxes from the moving company ? they should cost you about half as much as new. Although cost estimates are important, give equal weight to the reputation of the mover. Check with local consumer protection groups if you?re making a short move. These agencies keep records of complaints that are filed against businesses. The Interstate Commerce Commission (ICC) regulates moves from one state to another. The agency can provide a summary of the most recent performance reports of the largest moving companies. If you?re moving to another state, the ICC require the moving company to give you a document titled ?Summary of Information for Shippers of Household Goods.? It details your rights and how to protect them. If you?re moving within the state, check with the state attorney general for any regulations affecting the move. Even when you use a professional mover, there are ways to cut expenses, avoid the peak summer season. Minimize accessory charges ? hooking up appliances and moving heavy furniture up more than one flight of stairs. Also, do as much of the packing as you can yourself (leave expensive and fragile items to the movers for insurance reasons), and don?t take perishable items. If you pack your possessions and move in a rented truck, you?ll probably cut your moving bill in half. You will save money, but you?ll also increase the amount of work and worry for yourself. And there is a financial drawback. Rental truck companies generally allow you to insure up to $25,000 for personal property, and claims are valid only for major damages, (Fire, accident, etc.) If your grandmother?s cut-glass bowl gets broken because you have to slam on the brakes, that?s a packing problem and is not usually covered. The day you reserve a moving truck is a good time to review your homeowner?s insurance policy to determine if it covers your possessions during a move. If it doesn?t, you can usually buy cargo insurance through the truck-rental firm. Cargo insurance protects against the loss of or damage to your possessions while in the rental truck. Whichever method you use to move be sure to save receipts. If you are moving in conjunction with a job and itemize on your tax returns, you can write off moving expenses at tax time (be sure to check with you tax advisor). If the pros are moving you: Be on hand to answer questions and give directions when the movers arrive. Discuss and agree on the delivery arrangements before pick up. Tell the mover how to reach you at your new destination. While shipment is in transit, keep in contact with the mover?s agent at your destination. Before the moving van arrives, dispose of all flammable materials ? movers won?t carry them. Set aside especially valuable small items ? jewelry, documents, and money ? to carry with you. Movers cannot be responsible for transporting pets and might not accept plants. Read the bill of lading (the loading and freight contract between you and the mover) before you sign it. Keep it until your shipment is delivered, all charges are paid and all claims, if any, are settled. 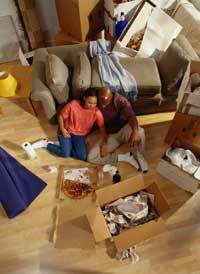 If you?re moving yourself: When moving day arrives, load major appliances first. This ensures that the center of gravity will be closest to the driver, where it belongs. Take your time packing the truck; a tightly packed load is your best guarantee that your belongings will come through the move unscathed. It?s also a good idea to place the items you need least at the bottom of the truck. Stack lightweight, bulky items on top, mattresses and mirrors should be place along the wall of the truck and tied securely. Make sure your phone is connected. Ideally, the phone company should hook it up the day before ?move-in-date.? To prevent possible damage, televisions, stereos, computers, other electronic equipment and major appliances should not be used for 24 hours after delivery, allowing them time to adjust to room temperature. Moving companies will not move living things so if you plan to move with your pets, they are your responsibility. There are numerous ways to help them adapt to their new environment. Unless traveling a very long distance, it is recommended that your pets accompany you in your car. It provides more of a sense of security for you and your pet. If your pet, especially your cat, isn?t used to car travel, take it on short rides around the block beforehand and then gradually increase the distance. This will help condition your cat to your car and to the motion of the car. You may want to consult your veterinarian about medication or sedatives to reduce/eliminate motion sickness, agitation and/or crying. Make sure your pet has a proper collar with ID and rabies tag. Also store all health documents in one convenient place. If you?re planning to stop at a hotel/motel along the way, call ahead to find out which ones permit pets. Have leashes on hand to move your pet from the car. Avoid feeding or giving your pets water for several hours before your drive. It is important that you are attentive to your pets? well-being. If they are uncomfortable way, make a stop. Plan on making frequent stops for feeding and resting. Plan on feeding your pets either once daily or a couple of small meals during rest stops. Never leave your pets in the car alone. It is against the law. Talk about the neighborhood, the house, the schools, local areas of interest and the benefits of your new residence. Involve your children in plans to decorate their new bedrooms or play areas, including color choices, decoration and arrangement of furniture. Make new friends and become involved and active in your new community immediately. Your children will follow your example during this transition period. Encourage your children to keep in touch with old friends while making new friends. Let your kids tell the neighborhood that you?re moving. Let them help plan for the care of plants and/or pets during the move. Help them collect addresses of their friends and neighbors. Involve them with a charity donation of toys, clothing, books etc. Consider having a ?good-bye? party.